"Don't slouch!" We've all heard it a million times, starting with Mom's admonition to us as kids. But now that we're all grown up, it seems slouching isn't such a bad thing after all — at least when it comes to beanies. Characterized by a soft and relatively unstructured shape, the drooping posture of a slouchy beanie is what sets it apart from other knit caps. 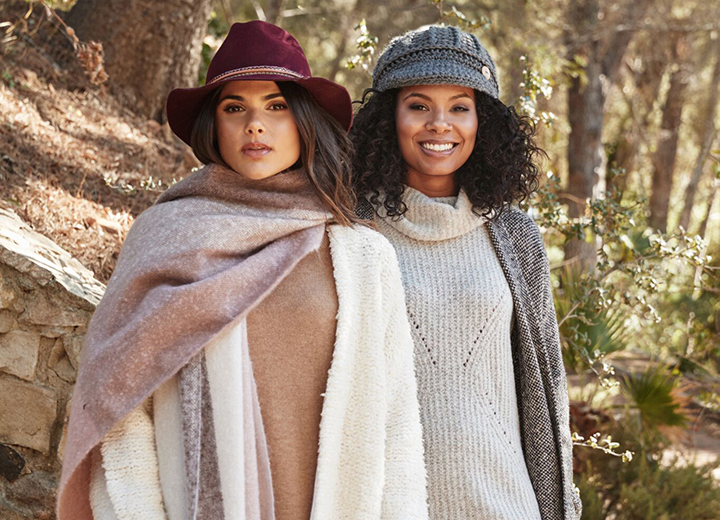 Like its close-fitting kin, slouchy beanies are made from a number of different materials ranging from luxe cashmere and merino wool to more affordable wool blends, acrylic, and cotton. While the typical cable knit beanie, wool beanie, and acrylic beanie is often worn for warmth in cold weather, cotton beanies and those made from other lightweight materials are now popular year round. So why slouchy beanies? 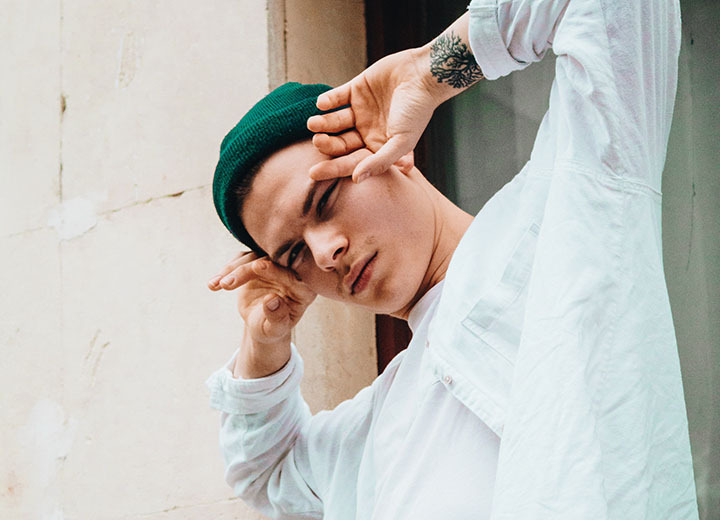 While we can't exactly trace the popularity of this particular style to a single event or person, it's safe to say that the slouchy beanie is reaching peak style status, surpassing the skull cap beanie of the early 2000s. Maybe it's because society has gotten so casual it only makes sense that our hats would, too. 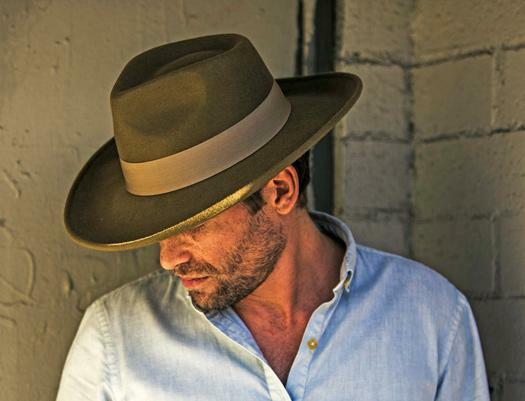 Maybe it's because more people are rediscovering hats and wearing a slouchy one is simply another way to have fun with fashion. 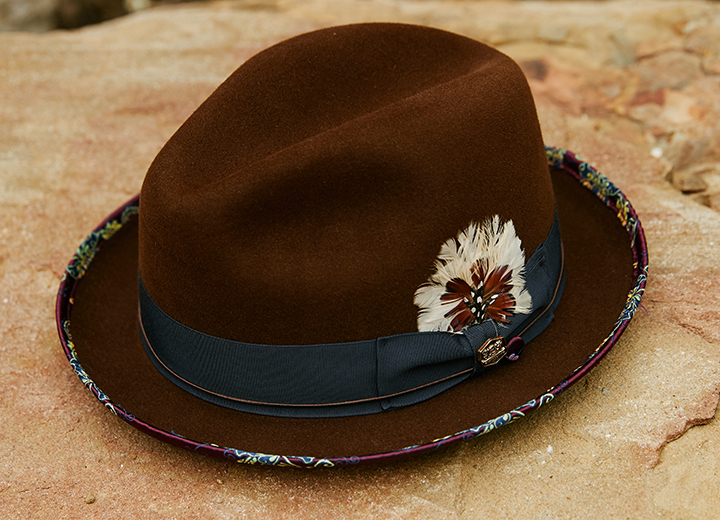 Or maybe, like your favorite baseball cap, they're an easy solution for bad hair days. Whatever the reason, we're here to help you navigate the style ins and outs of this floppy headpiece so you never look lame when your hat is limp. 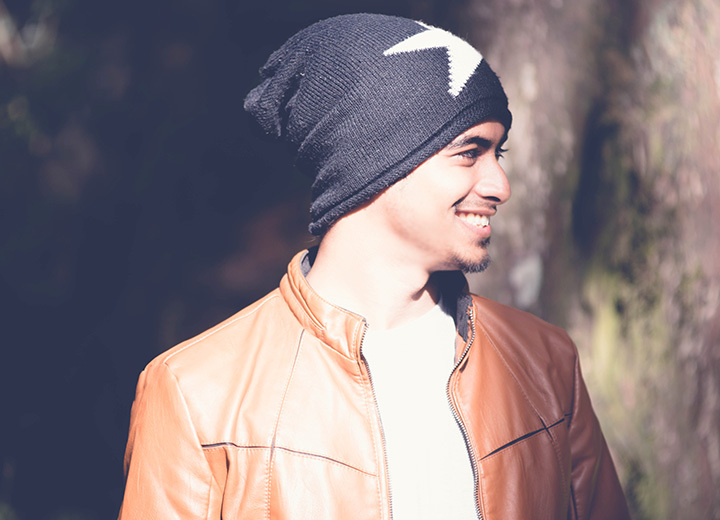 When it comes to wearing beanies, there are a few factors to consider. Let's call them the three F's: fit, fabric, and function. First, how do you want it to fit? Since we're focusing on slouchy beanies, obviously you want a somewhat loose fit that still hugs your head enough to stay put. Most beanies are one size, but some also offer alpha sizes (S, M, L, XL, etc. ), so you may want to size up to have extra material. Don’t go so extreme that you have a giant pocket of material dangling behind your head. Even just a little bit of extra fabric will give you the same easygoing aesthetic without looking like you're trying too hard. This brings us to fabric, which will affect how much a beanie can accommodate your hair type and head shape. 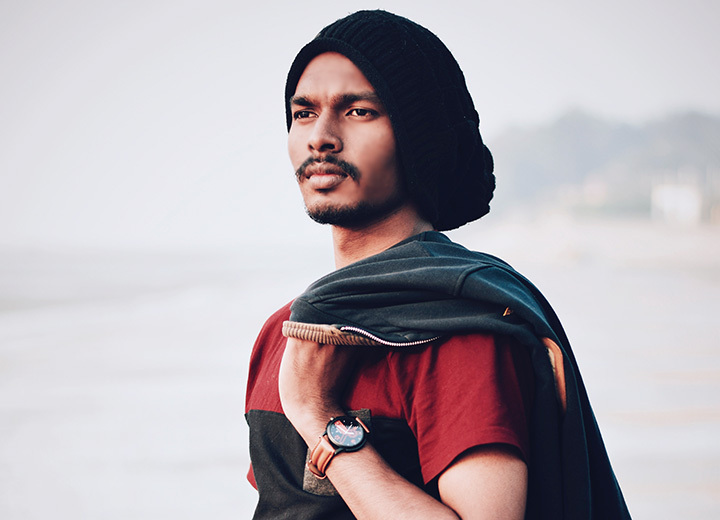 For example, if you have a bigger head or thick, long hair, look for generous ribbed-knit beanies or blends with spandex or other flexible material so that the hat doesn't fall off the moment you lean over or turn your head. In contrast, if you have a small head or no hair, consider a more structured beanie that doesn't need as much "give." Finally, be clear about the function of your hat. This is especially important when it comes to loose-fitted hats like slouchy beanies, which can tend to look sloppy in the wrong circumstances. Running errands, shopping, walking through the airport, or walking the dog are all appropriate occasions for a beanie. Wearing one to the office, at a wedding, or dinner parties is not. 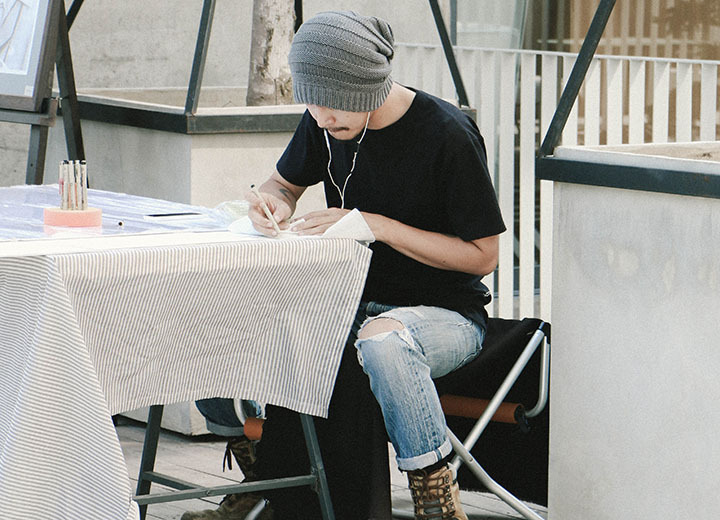 There's no reason to treat your beanie as a fashion afterthought. Whether you're a man or a woman, these laidback toppers can be the building block of your next ensemble. Slouchy beanies are casual by nature, so stick with the sporty look and pair it with comfortable basics. Channel your inner David Beckham, Channing Tatum, or Jughead from "Riverdale" with a cuffed beanie, loose tee, rolled jeans, and white sneakers. Fashion-forward celebs like Pharrell and Gwen Stefani are pros at playing with patterns — polka dots with stripes, or London plaid with animal print, anyone? But if you're not that daring, start with a simple graphic or multicolored slouch beanie paired with a patterned shirt to break away from the solid-color standard. 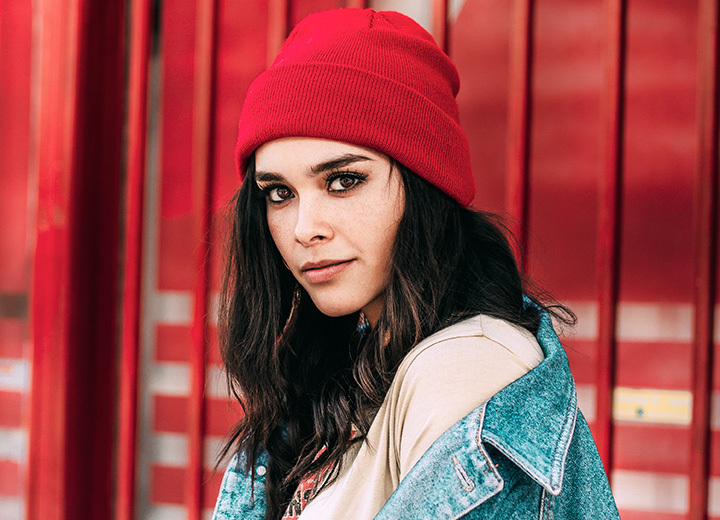 For a fierce look that'll turn heads, rock a slouchy beanie hat in a bright red, orange, green, or other eye-catching hue. Balance out your headgear with a color-blocked ensemble in muted tones or simply rock a concert T-shirt and denim jacket. Celebrities like Jude Law know that a slouchy hat is more than just a cold-weather necessity once snow season has arrived. Elevate your casual winter hat with a tailored blazer or leather jacket, fitted tee, and flat-front trousers. Instead of a basic knit hat with a one-direction stitch, opt for a textured knit style hat that showcases more detail and greater visual interest. 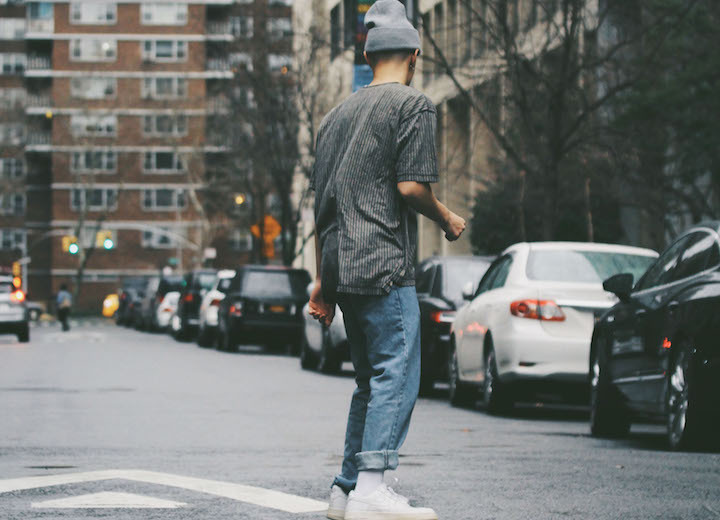 Finish your look with a simple T-shirt, ripped jeans, and Timberlands. 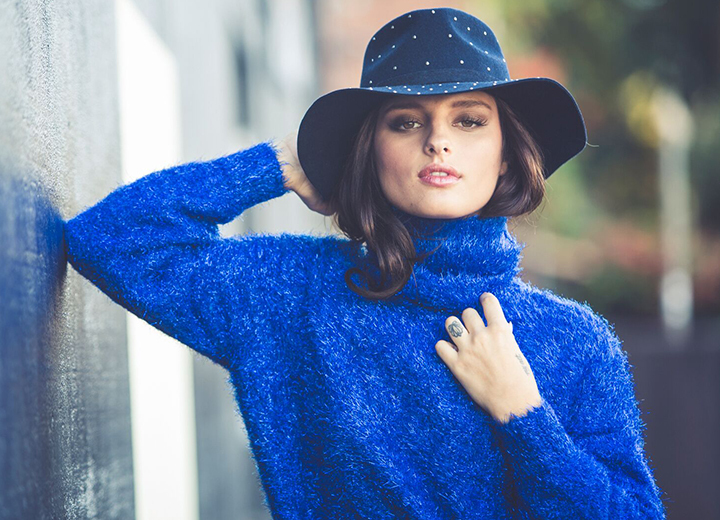 Fashion lovers know the best beanies aren't just winter accessories to keep your head warm — they're the finishing touch to your wardrobe all year long. Make like a model and coordinate a fun pom beanie with a pair of oversized sunglasses, casual top, and denim miniskirt for a fun, flirty look that'll work winter, spring, summer, or fall. 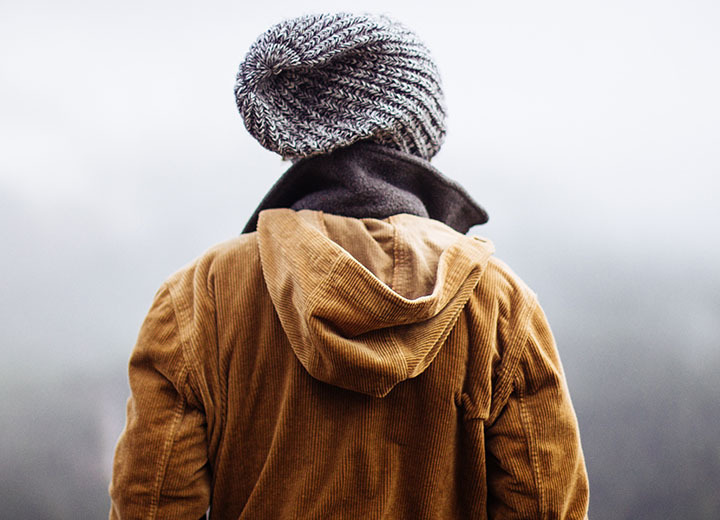 Although slouchy beanies have long been a casual must-have for ski trips, snowboarding, and other cold-weather fun, they have evolved into stylish options that can amp up your everyday wardrobe no matter what time of year. A-listers love them as a laid-back finishing touch to an ensemble and unlike fedoras or baseball caps, these loose-fitting hats won't flatten your hair when you take them off. Once you know what to look for and how to style them, you'll soon recognize how comfortable and versatile these headpieces really are. Be sure to check out our full selection of mens hats and womens hats for even more designs you'll love.